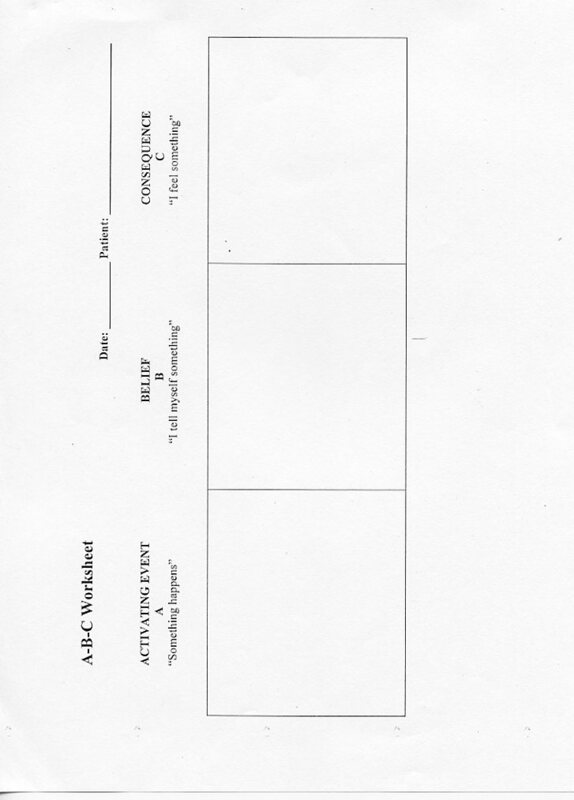 Above you will find links for ABC sheets and for Challenging Beliefs Worksheets (CBWS). 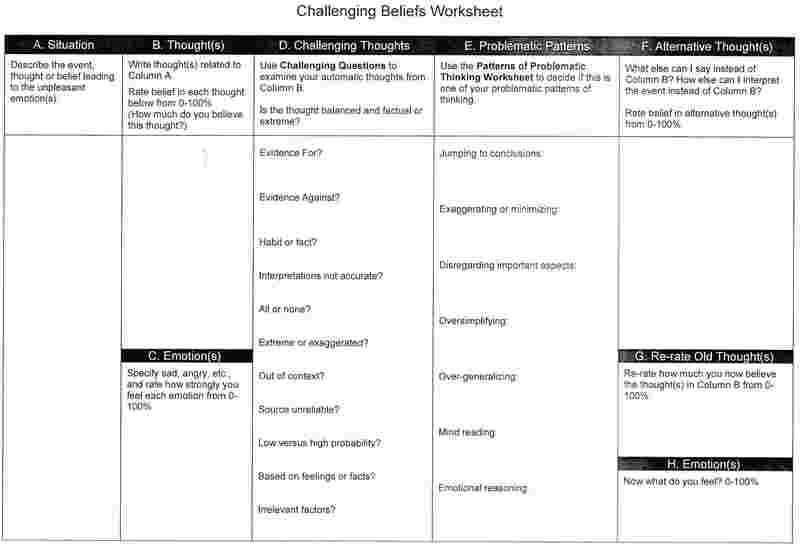 These worksheets are to help you identify problem patterns of thinking and learn to challenge them. Thinking is a problem when it is inaccurate or unhelpful.